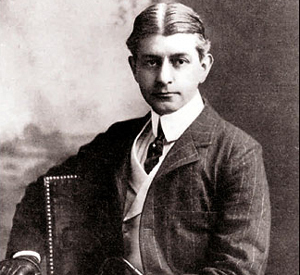 The major theme of Frank Norris’ breakout novel McTeague is clearly fetishization. Primarily, it is the fetish for money and gold, which is given superhuman characteristics by almost all of the characters. 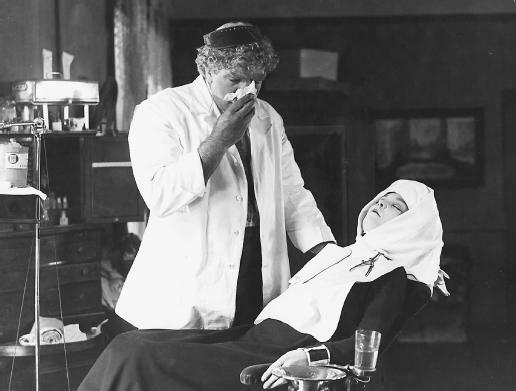 At the same time we notice the fetish for people, particularly the dentist McTeague’s infatuation with his patient Trina. 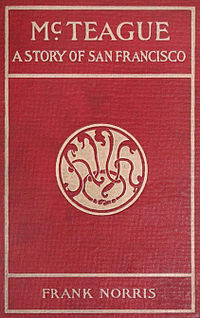 Other items are given a similar treatment, such as the diploma (which in the age of professionalization is lifted above talent, training, and experience) and the sign that McTeague desires to have in from of his “Dental Parlors.” All of the tragedy of the novel comes from giving these things almost divine significance. While we can label how Trina and McTeague come into money as greed, it is much beyond that. Money (and other things) really become idols. As the novel opens, we meet McTeague, a rather dull dentist. He entered the craft by working with an artisan dentist before professionalization became that important (this becomes crucial later on in the story). He runs a small dentist office and makes enough to support his life. McTeague, despite calling himself “doctor,” is really of the working class. He practices his craft like a craftsman. The books on his shelves are really for show. His best friend is named Marcus and they share beers every week. Marcus is the limit of McTeague’s social circle. Things change when Marcus brings his cousin Trina (who he is courting) to have a couple teeth fixed. McTeague, enamored with the elegant beauty of Trina, makes a bold decision to fix her mouth rather than simply pull two teeth. It leads to a series of visits. Eventaully, McTeague falls in love with Trina and begins courting her. Marcus agrees to step aside for his friend. Eventually, McTeague and Trina agree to marry. Before the marriage, Trina wins $5,000 in the lottery. (I put this into a historical currency converter—using 1890—and found a purchasing power of $120,000 in current U.S. dollars.) This is a nice nest egg, but not really what one could retire on. In those days of high interest rates, it did mean the couple could save the money and enjoy a steady and modest income from the interest. Marcus, of course, regrets immediately his choice not to pursue Trina himself. The money becomes the main frustration in their marriage. Trina refuses to spend any of the original $5,000, even to furnish an apartment. She is meanwhile working on making small animals for Noah’s Ark displays and is carefully saving in unknown amount of money (she always claims poverty but it is at least a few hundred dollars more squirreled away). McTeague this remains the sole breadwinner. Their income supplemented by interest from the $5,000. Spending any money becomes a battle in the household. Furthermore, Marcus is constantly resentful of what he sees as the loss of $5,000 that he could have won through courting Trina himself. Here is a sample of Trina’s rhetoric, after McTeague made a payment on a new apartment in hopes of moving and upgrading their life. At the mid-point in the novel, McTeague and Marcus’ friendship is shattered by jealousy over the money, reflected in a picnic wrestling match turned violent. The money, the $5,000, is basically imaginary in that it is not being used. McTeague does not understand why it is not being used to make their life easier or more comfortable. For Trina, preserving that money is paramount. At one point, when she breaks down and loans McTeague some money she does it with silver (not gold) coins from what she was saving. The nest-egg cannot be touched. From Norris’ perspective, this is clearly an irrational activity. It parallels a second, similar story. McTeague’s neighbor Maria Macapa tells stories about how she was rich in her youth, suggesting that she still has some golden plates. Another neighbor, Zerkow, always wants to hear the stories about the gold dishes and has a similar longing for them as Marcus has for Trina’s $5,000. In practice, however, the gold plates and the $5,000 are equally as real. Both exists as imaginary depositories of wealth and have immense psychological power over those who imagine it. Another important element of the story is the alienation between McTeague and Trina. McTeague seems happy (when not fighting about money) to have his doll. We get a closer glimpse at Trina’s feelings of horror about committing her life to who she learns is a stranger. McTeague, for his part, never made an effort to understand Trina. We as readers do not learn she is a miser until well into the story. “She could not love him. It has all been a dreadful mistake, and now it was irrevocable; she was bound to this man for life. If it was as bad as this now, only three weeks after her marriage, how would it be in the years to come? Year after year, month after month, hour after hour, she was to see this same face, with its salient jaw, was to feel the touch of this enormous red hand, was to hear the heavy, elephantine tread of those huge feet.” (393–394) Of course, we should question as social system that gives women few options accept marriage. Here is the foundation of the critique of modern marriage. If we cannot really know each other due to the liquid status of the world, how can we pretend to understand a spouse? Trina makes due by creating yet another fetish. She constantly demands that McTeague express his undying love for her. His “love” so expressed becomes like the money in the bank. It is something she can rely on but is immaterial. This entry was posted in Capitalism, Family, Gender, Library of America, Psychology, Sexuality, Violence, Will, Working-Class Life and tagged capitalism, fetish, fetishization, frank norris, greed, mcteague, money, naturalism. Bookmark the permalink.